In a meeting well attended by almost all party leaders holding various positions in the Yendi constituency, the chairman of the NPP for the Yendi constituency, Mr Abubakari Sadiq Nam did not mince words in taking members through what he plans doing aimed at strengthening the existing unity of the NPP in Yendi. 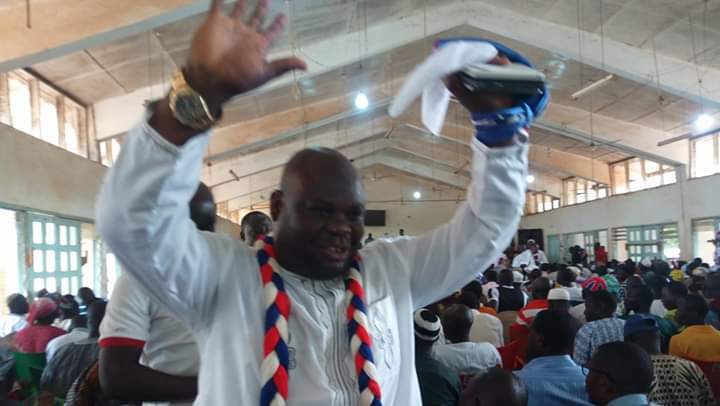 The meeting, which was held in Yendi on Saturday, November 3 2018, Mr Sadiq Nam highlighted, inter alia, the need for the leadership and the rank and file of the NPP to make the culture of consistent and timely consultation be their second nature in their quest to see enhanced unity in the party. Speaking to the stakeholders present at the meeting--the Council of Elders, Constituency Executive Members, Electoral Area Coordinators, Some Selected Assemblymen and Assemblywomen, and Caterers--Mr Sadiq Nam cited few examples of cases where the lack of consultation in some constituencies has resulted in chaos and destructions of party's property and its hard-earned goodwill. He, therefore, caustioned his party members to always draw lessons from those cases by harnessing the benefits of timely consultations among themselves. The Chairman also seized the opportunity to inform members of plans to construct a state of the art party office in the Yendi constituency. He said that for proper consultations to take place among members of the party, such an office is long over due. He did not hide his happiness about the fact that plans in the constructions of the new office are far advanced since all issues relating to the location of the office and the financial undertakings have been ironed out. He expressed the hope that the new office will facilitate the smooth running of other business of the party in the Yendi constituency as that has been a matter of discussion for some time now. Regarding the internal contest to lead the party in the next elections, Mr Sadiq Nam cautioned that all persons hoping to lead the party must not take for granted the need to put the unity of the party first before their individuals' agenda. Specifically, he mentioned that activities of all individuals and groups in relation to the leadership of the party come 2020, especially that undertaken via media are carefully being monitored and that the party shall not contemplate sanctioning any person or action that strays the governing laws of the party. While nominations are yet to be opened for political activities, Mr Sadiq Nam caustioned that maximum amount of decorum and circumspection must be taken into consideration in whatever is being done by or on behalf of an individual so as not to undermine the constitution of the party and other regulations in the Yendi constituency.